This is a rare opportunity for people living in Europe and Northern Africa to take a course with Geoff and Nadia Lawton in a location that’s not only closer to home, but amazing in its own right. The city of Fès, that you will pass through on your way to the nearby course sites, hosts the oldest continuously functioning university in the world, and the larger of the city’s two medinas is believed to be the world’s largest contiguous car-free urban area. The area is photography heaven. ← Quelq’un permaculturel a Maroc en Octobre pour rencontrer? Bonjour, j’espère que le cours a été un succès. S’il vous plaît nous en dire plus sur le centre de PRI. 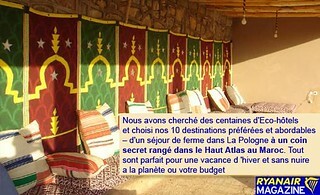 J’espère être en mesure de visiter la prochaine fois que je viens au Maroc. C’est vraiment super d’avoir quelque chose comme ça et je suis sûr que ça va donner une impulsion à la permaculture dans le pays.